Item Girl: RANBIR KATRINA CALL IT QUITS? He looked sozzled and out of sorts when he came out of siddharth roy kapur’s party recently, and she was minus the cheesy smile she has been sporting like an accessory since the outing of her relation with India’s sweetheart Ranbir Kapoor. A premature outing perhaps? And Katrina could be rueing moments when she may have felt otherwise. In hushed whispers people have been hinting at the series of fights the two are supposed to have had in new York recently. And the reason is the oldest in the world. He allegedly is not ready to give the commitment she desperately wants. After all Ranbir Kapoor is all set to be the biggest bollywood superstar of all times and getting hitched with a girl at this moment may not be the best thing for his career. from a commitment the big breaking point. 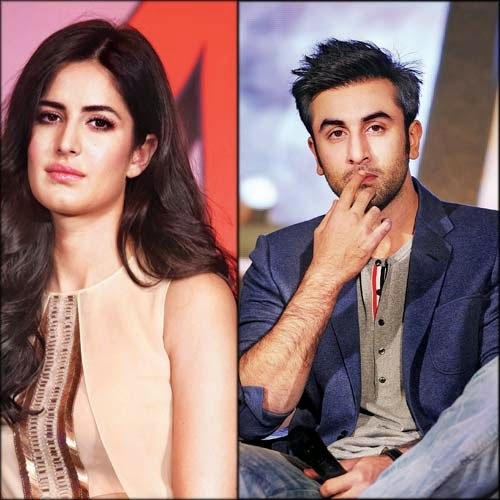 Ranbir refused to name Katrina as the love of his life on Koffee with karan . Could that have been the final nail after all why would Ranbir Kapoor shy away from naming katrina kaif as the love of his life on national tv when he had no such qualms with Deepika when she was in his life! Katrina feeling insulted is to be expected and also the factthat Deepika and RK are still in in touch over the phone. Deepika’s refusal to name Ranveer singh as her object of interest has only made the case curiouser and there is only that much the fabric of a relation can sustain.